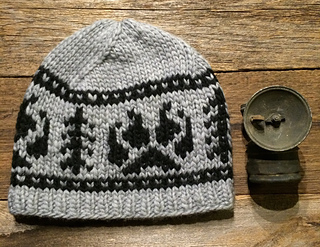 A fun hat that shouts backcountry with trees and bear paws. Nothing like showing your love of the outdoors. Only two yarns are needed, a light and a dark, for this color-work hat. 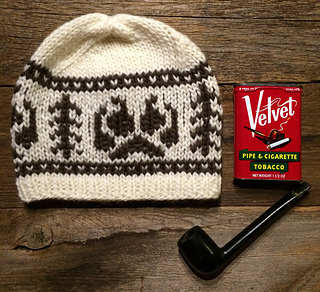 Quick to knit as a gift or for yourself.